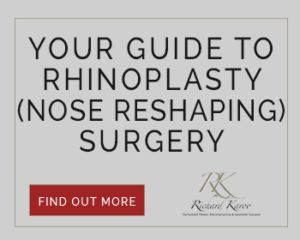 Nose surgery (rhinoplasty) is a procedure to reshape the nose in order to create a more pleasing balanced look and, in some instances, to correct breathing problems. 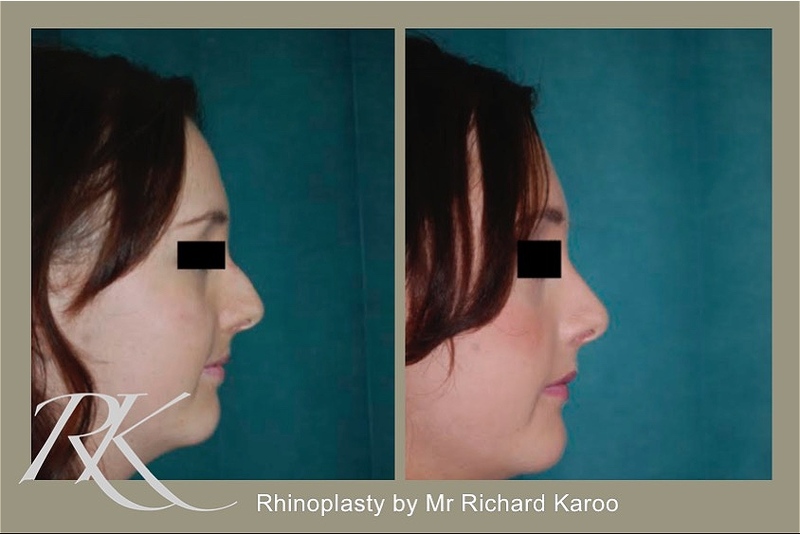 Rhinoplasty usually involves reducing the size of the nose by removing and sculpting the nasal tissues in order to enhance the facial appearance. The results are unique to each individual and depend upon such factors as skin condition and thickness, nasal and facial structure, genetic contributions, and age. Traditionally, a ‘nose job’ was performed only to correct major problems. However, recent surgical innovations allow individuals to benefit from more moderate improvements from the procedure as well. 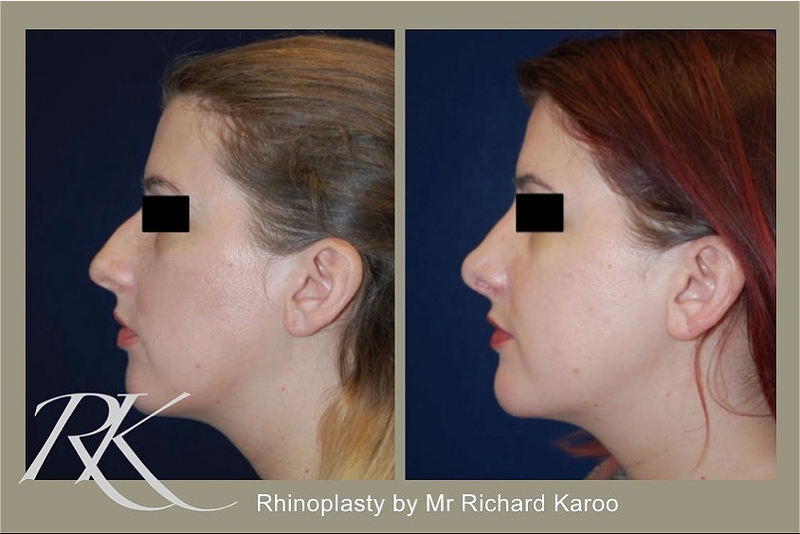 In general, undergoing rhinoplasty surgery aims to provide balanced aesthetics but is a tailored procedure to that individual. 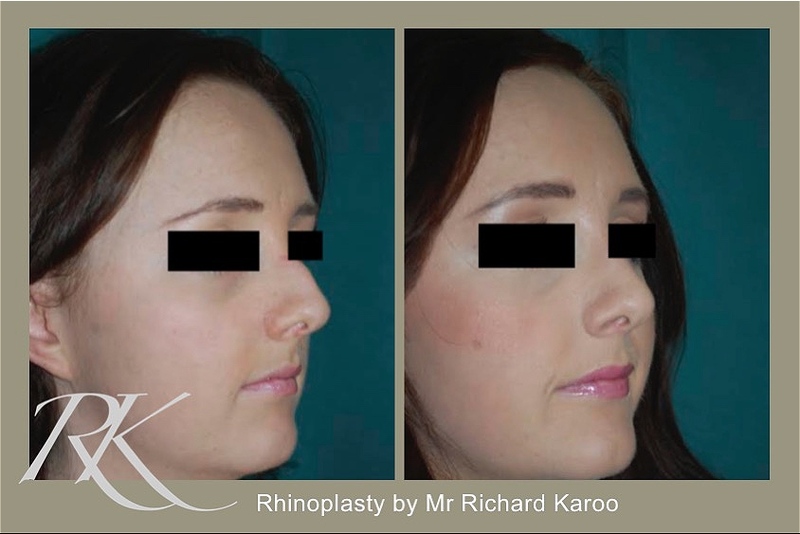 The rhinoplasty procedure typically lasts from one to three hours. To begin the surgery, incisions are made which allow the surgeon to access the underlying nasal structure. Once the skin is opened, the cartilage and bone are reshaped to form the basis for the new look. 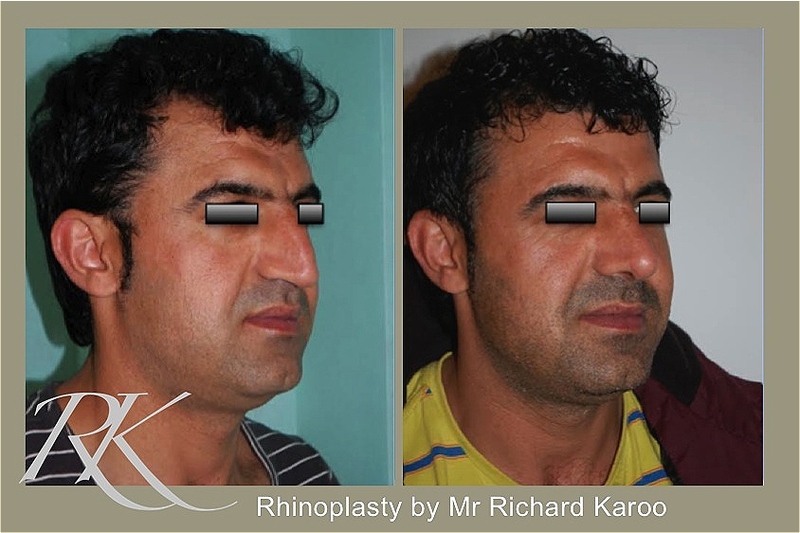 Two basic methods are utilized for performing nose surgery. These methods are referred to as the ‘open’ and the ‘closed’ techniques. The open technique allows for maximum visibility and control over the procedure. The incision used in the open technique is placed in-between the nostrils on the columella (the medial nostril strip). In the closed technique, the incisions are internal and heal faster; however, there is less surgical control over the outcome. 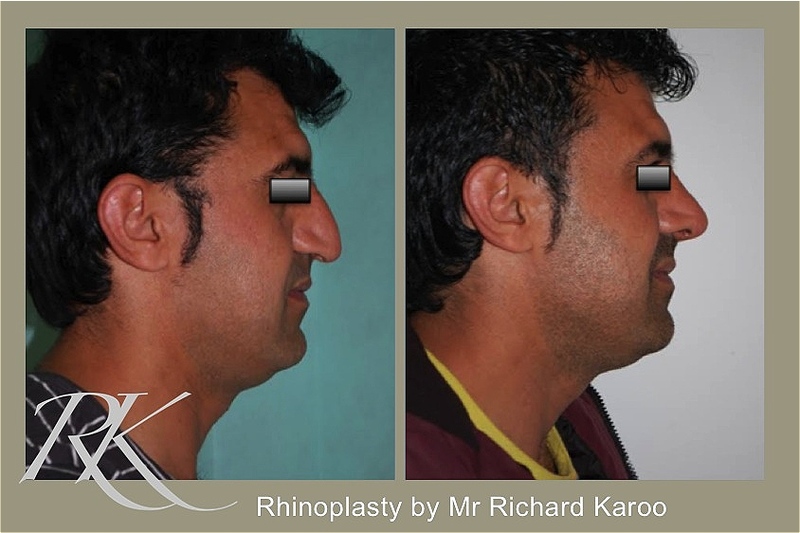 Mr Karoo would discuss which technique is best when the patient arrives for the initial consultation. Patients must refrain from smoking for at least two weeks before and after the surgery. In addition, any corrective glasses that are worn must be taped up and off the nose. Patients sometimes report minor pain associated with the surgery, which can be effectively treated with oral medication. While complications are infrequent, patients can minimize the risk of potential problems by carefully following the post-surgical directions given by the surgeon.